British oil and gas explorer cuts 15% of its global workforce as it “right sizes” for new FLNG Project. The ‘West Capella’ drilling vessel contracted by France’s Total and Italy’s ENI moved into position to start exploring for gas off Cyprus. CVM has reversed a preliminary decision ordering Petrobras to restate financial statements in recent years to include the impact of currency protection on debt and other balance sheet items. Israel’s REM Energy partnership issued a prospectus for an offering on the Tel Aviv Stock Exchange to raise money to advance the country’s largest shale oil project. 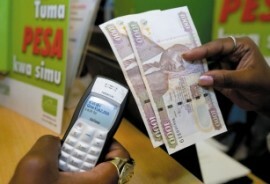 KRCS: "Mobile cash reduces hunger and boosts local economies in Kenya"
Now’s a good time for refiners to adopt digital technologies, report’s author tells Rigzone. Total SA will start work soon on Qatar’s biggest oil field and is willing to make more investments in the country, which faces a trade boycott led by fellow OPEC producer Saudi Arabia. Shale oil producer Halcon Resources Corp said it would sell most of its North Dakota operations for $1.4 billion cash, part of a plan to shift its focus to Texas’ Permian Basin, the largest U.S. oilfield. Saudi Aramco, which plans what could be the world’s biggest initial public offering, will invest more than $300 billion over the next decade to maintain its spare oil-production capacity and explore for more natural gas. OPEC needs to “shock and awe” the oil market for prices to gain, according to Goldman Sachs Group Inc.